Many singers dream of having a Met debut. Others of singing Elvira in Bellini’s I Puritani. Olga Peretyatko was able to combine the two. While Olga may have been unknown to American audiences, she’s been thrilling those at the Rossini Opera Festival for years. Her first of many Pesaro appearances was in 2006 as a student in the Academia Rossiniana production of Il Viaggio a Reims. The Academia Rossiniana is a school run by Alberto Zedda that runs an intensive two week course focusing on various aspects of Rossini and bel canto singing. It is very competitive to gain entry with students from around the world applying for a limited number of spaces. Once attending, the competitive nature of the school doesn’t disappear. 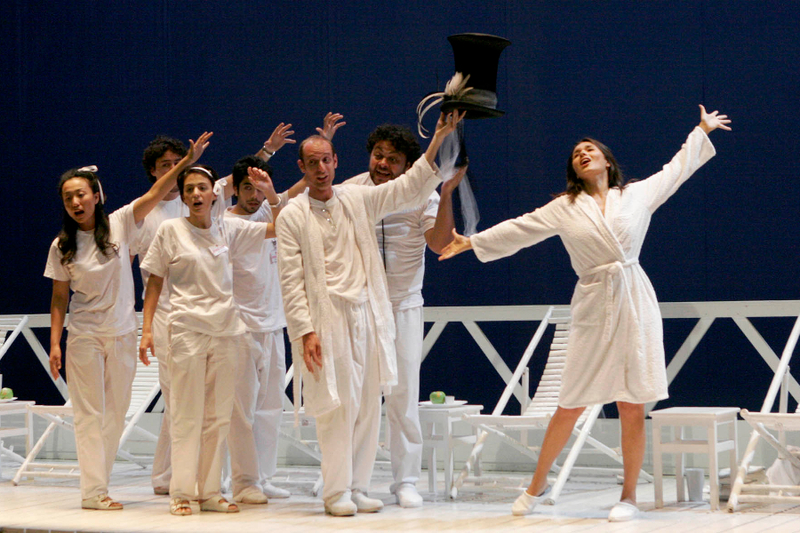 At the end of the program there are two performances of Il Viaggio a Reims in the Teatro Rossini. With more students than roles available, the pressure to be selected can be immense. Despite the pressure, or perhaps because of it, Olga thrived and appeared in the showpiece role as Corrina and the Contessa di Folleville in the Festival Giovane of the ROF in 2006. While those attending that performance may have immediately realized the ability she had, perhaps not all suspected how far she would ascend in her career. Among those who were aware of her talent were those at the ROF in charge of hiring decisions, namely Alberto Zedda. In 2009, Olga displayed her comedic talents at the ROF in Damiano Michieletto’s brilliantly fun production of La Scala di Seta. Appearing in 2012 as the title role in Matilde di Shabran across from Juan Diego Flórez, there was no doubt for anybody who witnessed her performance that she had reached superstar status. It was only a matter of time before the Met would call. Those who have enjoyed one of Olga’s performances – in Pesaro, at the Met, or any number number of leading opera houses worldwide – are grateful to her for the years of hard-work and dedication she has put into her craft.